After a rather frantic week retrieving chickens from their holiday home (thank you Glad and Mr Glad for looking after them), retrieving dogs from the kennels (thank you Ann at Rhydlewis – a unique place where the dogs are cared for better than anywhere I know), attending a day-long trustees’ meeting and a learning guild get-together, as well as editing a couple of papers and doing piles of washing, I have finally managed to find some time to spend in the garden. 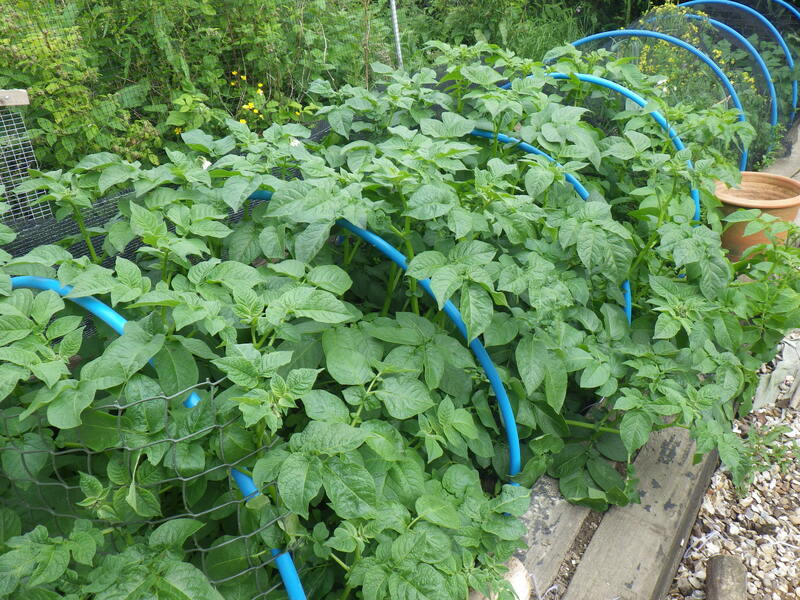 During our two-week absence the potatoes have grown like mad and the raspberry canes have become laden with (as-yet unripe) fruit; the mange tout are on their way up (the variety we are growing – yellow-podded – is tall) as are the runner beans; the courgettes and squashes are settling in and the onions are flowering – boo! As always, some things do well and some don’t, but that is the way of the world and gardening does not come with a guarantee. Anyway, overall the week has been quite stressful, but a few hours in the garden are good therapy. I find gardening to be remarkably good for my state of mind – it gives me time to think, as well as allowing me to be both creative and peaceful. I love seeing plants grow that I have nurtured from seed. Even when it comes to the time that they have to be removed, knowing that what is left will go on the compost heap and contribute to the next cycle is immensely satisfying. 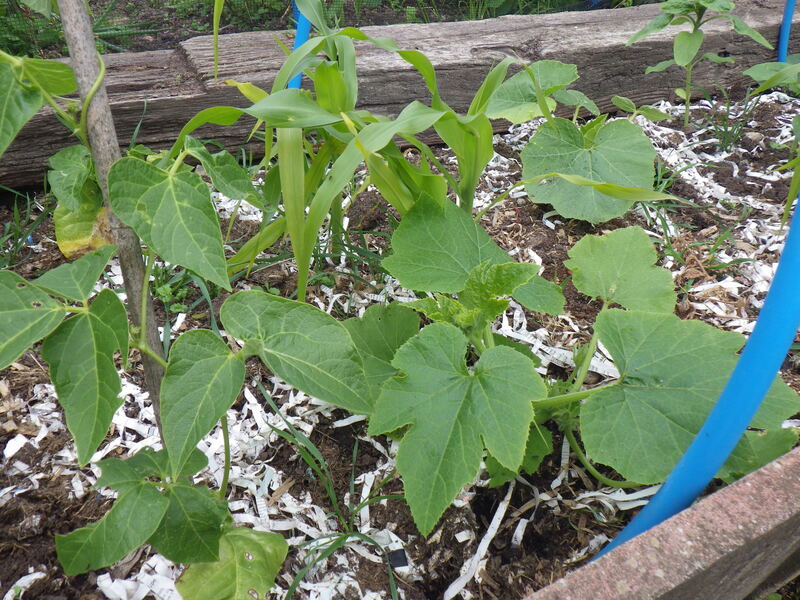 But, reading an article in The Guardian today by Alys Fowler, I discover that gardening is not good for me just because of all the things that I’ve mentioned, but also because there are bacteria (specifically Mycobacterium vaccae) in the soil that have a beneficial effect on health. These bacteria boost production of seratonin (which is a mood regulator) and help to build a healthy immune system if we come into direct contact with them. So, there you are – get out there and get your hands dirty and you really will be improving your health and happiness! this is why I get sick when I am kept indoors. I actually need to be in the garden. It’s a medical fact. It’s what we always suspected!